Ask any pet parent about what they do to make sure that their furry four-legged friends are happy and well-behaved and they will tell you outright that part of their pet’s daily ritual is a good dose of exercise. Any book, any resource on dog care always emphasizes the importance of exercise for dogs. Not only does it ensure optimum physical growth and development by providing the necessary stimulus for its muscles, bones, joints, heart, and lungs; it also fosters a more positive mental state by giving dogs something to do. Among us humans, we always think about getting a personal trainer to help us in our exercise regimen. Your dog doesn’t need that. Your hound only needs you, your undivided attention, and your knowledge on how to exercise your dog like a pro. Sometimes you really don’t need a highly structured exercise regimen for your dog. Taking Fido for a much-needed 15- to 30-minute walk, depending on the breed and size as well as health condition of your dog, is surely enough especially when done at least twice a day every day. Exercising dogs should never be confused with the need to train them, although there will always be elements of dog training in exercises. However, the purpose of exercising dogs is a bit different from training. Dog training teaches canines to perform something. Exercising them is more geared towards their physical, mental, and even emotional health. As such, one of the most practical and definitely easiest exercises for any dog is walking. There are variations, of course, such as jogging, running, you on a bike, or you on a skateboard or roller skates. The thing is that walking is the most basic of all dog exercises. Sadly, not all dog owners know how to walk their dog properly. It is for this reason that you should always start by mastering the doggie walk. In walking your dog, it is important to adhere to a few so-called rules. The first and most important of these is for you to walk ahead of your canine friend. This is a must. Your dog should ‘follow’ you and not the other way around. This also means that if you are going to go outside your house, you should be the first to do it and not Fido. The same is true when coming back from the walk. You always go in first, then your dog. Second, it is better to get a short leash so you will have better control of your pet. Of course, there are those who say that longer leashes will give their dogs the limited freedom they need. If you’re socializing your pet, this may be fine. But if your goal is to exercise it, then you need control of your dog’s movements. It’s also a lot safer for your dog if you put it on a shorter leash. Third, spend at least 30 minutes for the walk. Morning walks are best, although dog exercise needs by breed can vary. Highly active dogs will require up to an hour or two of vigorous walks. Fifteen to 30 minutes is often sufficient for toy dogs and small breeds. You will also need to check with your vet your dog’s health status. 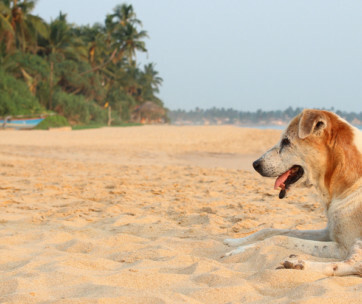 Arthritic dogs may not be able to tolerate lengthy or fast-paced walks. So talk with your vet. Fourth, always integrate the giving of rewards during and after the walk. It doesn’t have to be always doggie treats. During the walk, you can stop for a while and let your dog sniff around and even do its thing. Just pick its poop if ever, though. The point is you’re giving your dog a breather and letting it sniff around is its reward for being such a good dog up to this point. Now, you decide when it’s time to resume the walk. After the exercise, give it its treat or a bowl of its tasty meal. There is now a plethora of dog exercise equipment that you can get to help in exercising your dog, just in case you find dog walking so obnoxiously simple, boring, and common. Pet exercise equipment manufacturers are continuously thinking of ways to help dog owners meet the exercise requirements of their pets whether it is indoors or outdoors. Here are a few pieces of technology that you may want to invest in. You don’t have to buy a really expensive Nordic Track just to get your dog all pumped up. There are now manufacturers of very affordable dog treadmill machines that are smaller yet equally effective in simulating dog walking and running while in the comfort and safety of your home. Doggie treadmills can help increase the definition of the muscles of your dog while also getting rid of the excess energy so it will not use this for destructive purposes. The trick in using a dog treadmill is training. 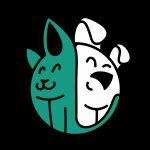 You should be able to teach your pet how to walk on a moving platform. Introduce the machine to your dog and let it explore this equipment. You can then teach your dog to walk on the treadmill without necessarily turning on the machine. Do this many times until your dog is comfortable walking the entire length of the treadmill. Once it is already confident, you can start running the treadmill at the lowest possible speed setting. Your dog may get startled at first, so be patient. Gradually pick up the pace. Over time, your dog will be confident and comfy enough to trust its instincts and run as fast as it can. Dogs love playing fetch. Labrador Retrievers are especially fond of fetching tennis balls. This can be a great exercise for them. Going after the tossed ball, picking it up with their mouth, and then returning the ball to you will really get its muscles and heart all worked up. 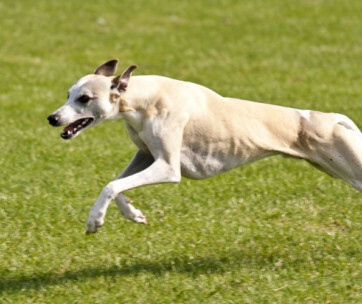 All that running to and fro can help improve your dog’s stamina while also giving it a chance to ‘work’. There are ball launchers that can be used outdoors and there are also those designed for indoor use, often complete with softer, more furniture-friendly balls. So if you’re at a loss as to how to exercise your dog in the winter, an indoor ball launcher can be a great option. Like all pet devices, however, it is important to teach your pet how to use the equipment. This is especially true for those ball launchers that come with self-play action. These come with a component wherein your dog can easily drop the ball that it has picked up or fetched. This ball is then fed automatically into the chamber. Such devices also have adjustments for the distance of the ball toss as well as the frequency of tosses in a minute. Others come with motion sensors so that they will not ‘toss’ the ball if a dog is right in front of the launcher. Some dogs are born for agility. Dogs like Border Collies, Jack Russell Terriers, Pembroke Welsh Corgis, and Standard Poodles are just a few of the many breeds of dogs that have remarkable agility. They can easily breeze through an obstacle course regardless of how difficult it can be. Of course, training is still a fundamental requirement so you’ve got to show patience in teaching your dog. However, for the really smart ones, they seemingly know already what to do. Agility kits or courses can be purchased from your favorite pet store or you can build your own. Do take note that this is best done outdoors, preferably in your backyard. However, if you have plenty of space indoors, you can also build a mini obstacle course for your dog to use. If you’ve been practicing Pilates or even yoga or perhaps you know of someone who is receiving physical therapy at rehabilitation clinics, then you’ve most likely encountered those large, bouncy exercise balls. Even gyms today already have these exercise ‘tools’. The exercise ball, apparently, is not only for you and us; it’s for our favorite pet, too. The secret here is to get an exercise ball that is of the right size for your dog. Ideally, you would want the ball to be just right such that your dog can place its tummy on the ball with its hind legs stretched and dangling backwards while balancing its body using its front legs. This is a great tool to strengthen your hound’s core muscles while also improving its control, reaction, and balance. If an exercise ball doesn’t appeal to you or Fido, then you may want to try a wobble disc or a balance disc. It is almost the same thing as an exercise ball, except that you have two flat discs that have a slightly curved bottom. Your dog places its front legs on one disc while its hind legs are firmly planted on the other disc. Since the bottom of the disc is slightly curved, your dog will have to keep its weight in the center. Small dogs can stand and balance on a single wobble disc, by the way. It doesn’t look much, but this dog exercise equipment can help strengthen and tone the muscles of your dog’s core. You really need to pick one that is made of durable materials, though, since your dog will be planting its paws firmly on the platform. It will try to balance and stabilize itself by ‘digging’ its claws into the platform. If the height of the curved surface can be adjusted, then it is better as it can provide more challenge to your pet. There will always be instances when you and your dog simply cannot go outdoors because it’s either raining, snowing, or simply very hot. Or, you’re not really in the mood to bring Fido out or perhaps a ton of work awaits you at home. In such cases, you may want to know how to exercise your dog in the winter or any other instance when outdoor exercises are simply not possible. Here are a few suggestions. Obviously, this will only work if you have stairs at home. The beauty of such an indoor exercise is that it is a lot similar to walking, except that your dog will be using or engaging slightly different muscle groups. It also helps improve its balance, agility, and coordination as it tries to step on the stair steps. This depends on the elevation or height of the stairs, of course. But if you do engage your dog in such an exercise, it is important to be safe. If your staircase has a middle landing, use this first. Stand on this part of the stairs while your dog patiently waits at the foot of the stairs. Throw a doggie toy or even roll a ball down to your dog. Once your pet picks the object, call it to bring the toy or ball to you up the stairs. Do this several times. As we already mentioned above, a dog treadmill can be an exceptional tool for indoor exercises. But if you already have an exercise treadmill at home, then you clearly don’t need to purchase another one just for your pet. What you do need to do is to teach it how to use the treadmill. We already discussed how you can do this in the preceding section. It is important to ease your dog into walking on the treadmill until such time that it can instinctively run. Make sure to have its leash, just in case. Use doggie treats to entice it to walk towards the other end of the treadmill. It is also wise to check dog exercise needs by breed so you will know just how fast and how long you can let your dog run or walk on the treadmill. There are rope toys that are designed specifically for that tug-of-war session with your pet. However, it is imperative that you remain in control of the game. Your dog should respond to you when you command it to ‘release’ the rope; otherwise, you’ll only be encouraging its predatory nature. When done correctly, playing tug of war with your dog can help strengthen its jaw muscles while also engaging its brain to be alert to your commands. It’s not really advisable to play with tug of war unless you have fully trained your pet. This is a favorite indoor exercise of many dogs for the simple fact that it involves their favorite treats. It is especially useful for scenthounds as they get to use their remarkable scenting abilities to follow the scent of treats that you’ve hidden all over your house. Just make sure your dog wasn’t looking when you hid these treats, otherwise it defeats the purpose of the activity. Playing modified hide and seek using treats can encourage your dog to use its brain in trying to figure out where the treats are hidden. To make your dog work for its treat, it is best to hide it in areas where your pet will be ‘forced’ to work its muscles. It can run up and down your stairs. Run to and fro across the room. This can be a great way to exercise your pet even inside your home. Aside from walking your dog the correct way, investing in good dog exercise equipment, and knowing which exercises to give when you and your dog simply cannot get out of the house, there are a few other things that can help you exercise your pet hound like a pro. It is important to recognize the fact that certain exercises are contraindicated in some health problems. It is always best to check with your vet first if it is okay for you to give your dog a certain type of exercise with due consideration for its health status. Additionally, your vet can also give you an idea of the different dog exercise needs by breed so you can be guided accordingly. Even athletes know the importance of gradually progressing through their exercise routines. It is imperative to observe the same. For example, if you are going to get your dog to exercise on the treadmill, you should always aim for the slowest speed setting possible. Over time, you can slowly increase the speed. The same is true with any other activity. This is to make sure that your dog will not suffer any unnecessary injuries. Your dog’s safety far outweighs the need to exercise. If it’s clearly not safe to exercise outdoors, then stay indoors. 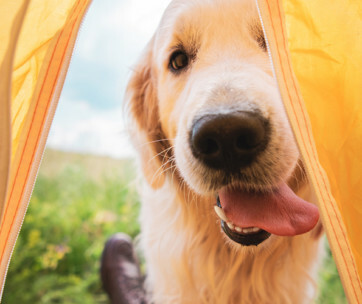 Exercising outdoors can expose your pet to a host of risks. Putting your dog on its leash while exercising is a must; unless you are in a confined space. Don’t forget hydration, too. Exercising your dog like a pro is easy. Just adhere to the basics, take it slow, and keep your dog safe.